Furnace Engineering continuous enamelling furnaces operate according to the principle of heat interchange between the outgoing hot and the incoming cold product. 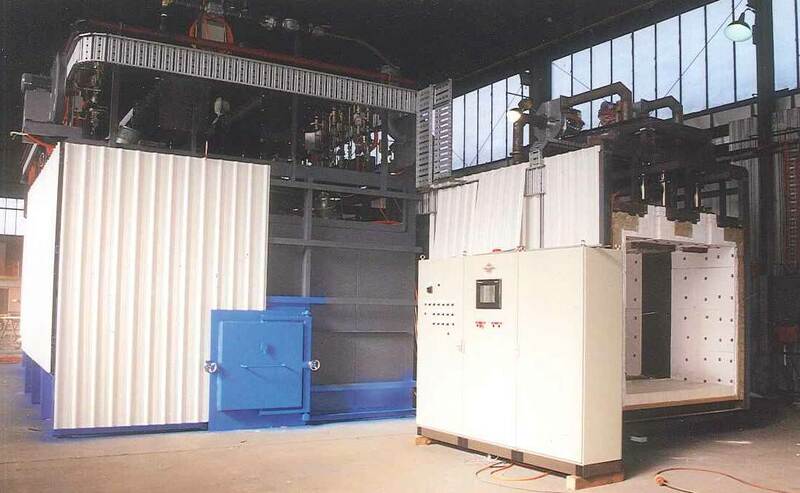 A high proportion of the process energy is recovered for heating up the incoming product. This is further increased by the use of forced convection in the final stages of preheating. The quality of the enamelled product as well as the cost of maintenance and repair of the furnace is largely determined by the design of its heating system. The Delta radiant tubes and recuperative burners can be installed in this furnace to ensure excellent enamelling as well as achieving low running and maintenance costs. The tube is manufactured from heat resistant alloy for durability and can be withdrawn from inside of the furnace. The burners, supplied with integrated recuperator, have a low flue gas temperature, resulting in reduced energy consumption. The temperature uniformity on the tube surface improves tube life and heat transfer.